This story is sponsored by UMIDIGI. PhoneArena's opinions in this article have not been affected in any way! UMIDIGI is gearing up to launch its smartphone duo — the Z1 and Z1 Pro — which it teased us with just last week. The two smartphones are nearly identical, with the Pro being equipped with an AMOLED display, which allows it to have a super-thin 6.95 mm profile, but hold a 4,000 mAh battery. But let's dive a bit deeper! So, on the outside, we've got a stylish metallic shell, painted in matte black, aggressive red, silver, or a really nifty gold-accented paintjob. The handsets sport a dual camera module on their backs, housed in a not-so-steep camera hump in the upper left. 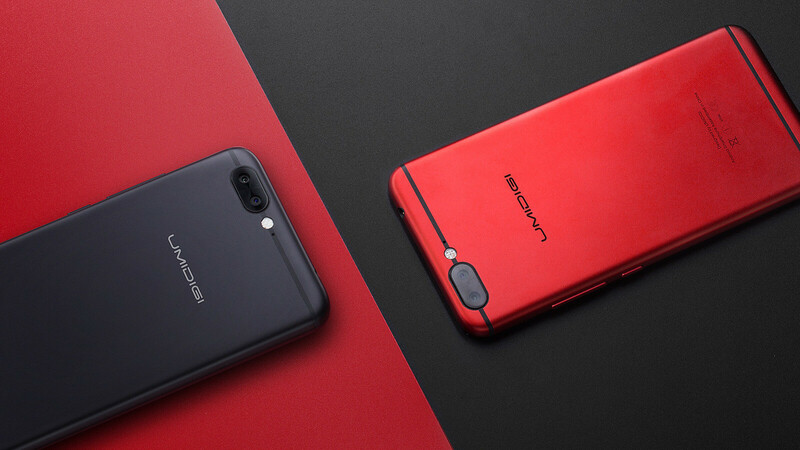 The regular UMIDIGI Z1 is 0.32 in (8.2 mm) thin, while the Z1 Pro is 30% slimmer, as mentioned previously, measuring at 0.27 in (6.95 mm). On the inside, both phones hold the same top-notch hardware — the power-efficient octa-core MediaTek Helio P20 clocked at 2.3 GHz runs the show, assisted by a whopping 6 GB of RAM. On-board storage is locked at 64 GB, but a microSD card slot allows you to expand it further (up to 256 GB more). Both the Z1 and Z1 Pro rock the massive 4,000 mAh cell, which we spoke of earlier, for longer screen-on times. The operating system that keeps these instruments playing in harmony is Android 7 Nougat. In the camera department, we have a 13 MP main snapper and a 5 MP secondary sensor, acting as an “assistant”. The latter is used to gather object and distance data, while the former is, obviously, the one producing the imaging. Of course, you can expect blur effects, but also live photos and an elaborate manual mode. The selfie snapper on the front is a bit more modest — a 5 MP camera will be taking care of your mugshot needs. Lol@$700 for the original price.